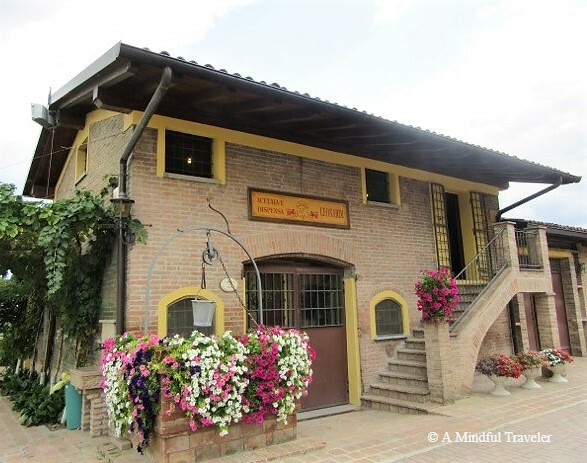 In the small town of Magreta di Formigine, not far from the city of Modena, is where you will find this unique “acetaia” (vinegar factory). In a rustic brick farmhouse, which occupies ten hectares of lush vineyards, the past four generations of the Leonardi family have kept traditions alive since 1871. 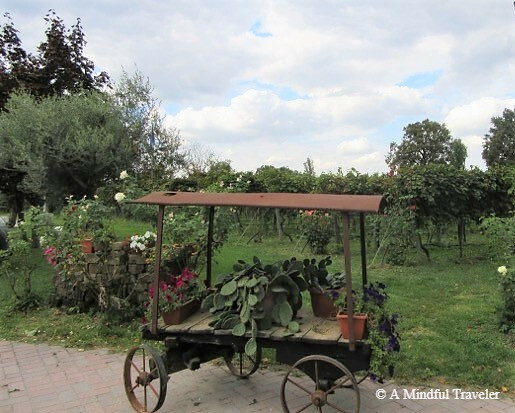 The province of Modena within the region of Reggio Emilia, Italy, is renowned for the production of balsamic vinegar as well as other gourmet produce such as Parmigiano Reggiano cheese and Proscuitto di Parma. This geographical area plays a vital role in the condiment’s production. The special climate of this region enables the grapes to ferment and mature. The harsh summer heat and intense cold winters create an impact that suits the condition and process needed for the grapes to be turned into vinegar. The grapes are all grown on the surrounding farm of “Campi Macri”. The majority of grapes include varieties of Trebbiano (white grape) and Lambrusco (red grape). The whole production takes place at the same factory and is repeated continuously each year. With secrets handed down from generations and traditional methods meticulously implemented, it is no wonder the quality of Leonardi Balsamic is second to none. From the picking of the grapes to the final stage of bottling this velvety smooth liquid gold, Leonardi deliver nothing but quality products. So much so, that Leonardi’s vinegar was served for Prince William and Kate’s Royal Wedding reception in 2011. The artisan showroom at Leonardi enables you to purchase and sample the many different varieties and ages of balsamic vinegar. Each bottle is genuine and contains only cooked grape must (mosto d’uva cotto) and wine vinegar. There are no additives, preservatives or sugars added, unlike the balsamic vinegar we find in the supermarkets. Guided tours are also available at Leonardi and can be booked via the website. This is a great way to understand the 6-phase process of the traditional techniques used in the production of balsamic vinegar of Modena. 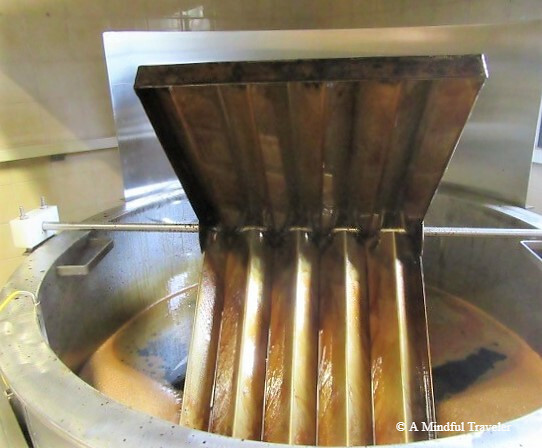 Learn about the importance of temperature, the relevance of flavoring and witness where the barrels are stored throughout the farmhouse, some for more than 30 years. 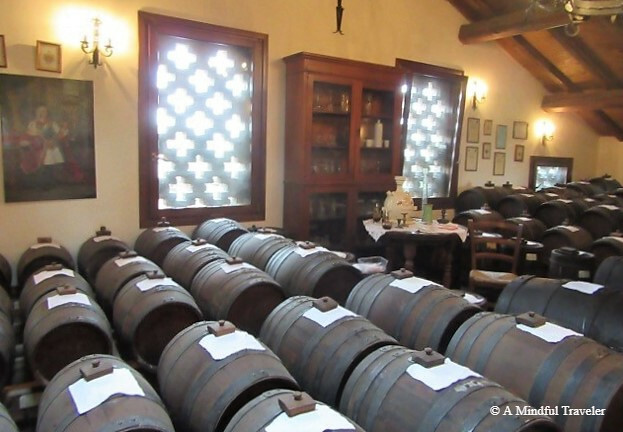 Our tour also enabled us to taste a balsamic vinegar that had been aged for 100 years! It coated your mouth with an intensely sweet and sour flavor. There was definitely a distinct difference between these variously aged barrels of vinegar. They were thicker and richer in flavor and consistency as they aged. Balsamic vinegar is an important part of any gourmet table. A delicate and exclusive flavoring that is extremely versatile in everyday cooking. Not only for salads, balsamic vinegar is a perfect accompaniment to vegetables, roasts, fish and especially strawberries. After completing the informative tour at Leonardi, I have learned to appreciate this unique condiment and acknowledge exactly how much hard work and dedication it takes to produce just one small, authentic bottle of Balsamic Vinegar of Modena. Tour duration 45-60 minutes. Basic information about the grapes used, a full tour of all rooms: cooking room, must (thickened grape juice) decanting room, ageing rooms. Tasting of minimum 2 types of balsamic directly from the wood barrels, including a 100-year-old balsamic. After the tour, buffet lunch inside or outdoor with the typical produce of Modena (Parmigiano cheese, cured meat, typical bread, pizza, and Lambrusco wine). After a Place to Stay? Sounds like a wonderful place. Love Balsamic vinegar and a lovely area. My dad’s sister still lives in Modena. Thanks Miriam. Did you get to visit her? Sounds like a great place to visit!! wonderful to know , great place! Thanks for sharing this place and the balsamic vinegar Lorelle!!! This sounds like a very nice tour, thanks for sharing. This tour sounds fascinating. How intriguing to learn how complex the process is. What a fun tour. I did not realize until your post that balsamic vinegar was derived from grapes! Yes… we instantly think it’s only wine that comes from grapes, but not so. Every description and the way you have illustrated it,is truly beyond appreciation.Thank you for sharing your experience with us. I love balsamic vinegar — I go through SO much of it! It’s amazing how bad a bad balsamic can be. 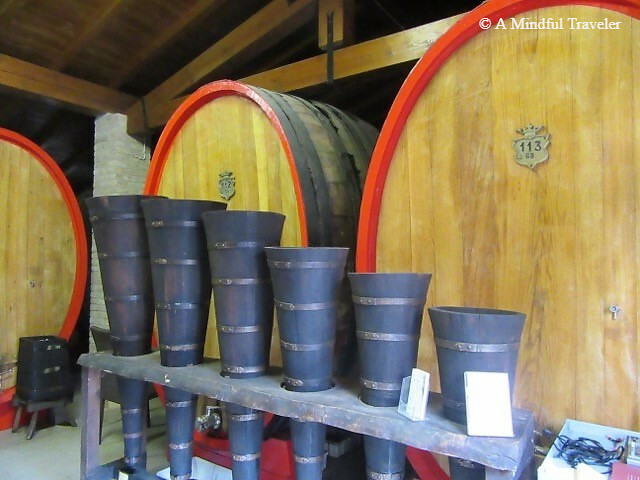 It would be amazing to go to Modena one day and taste this vinegar. My stomach’s growling just thinking about the caprese salad I’d have to have! 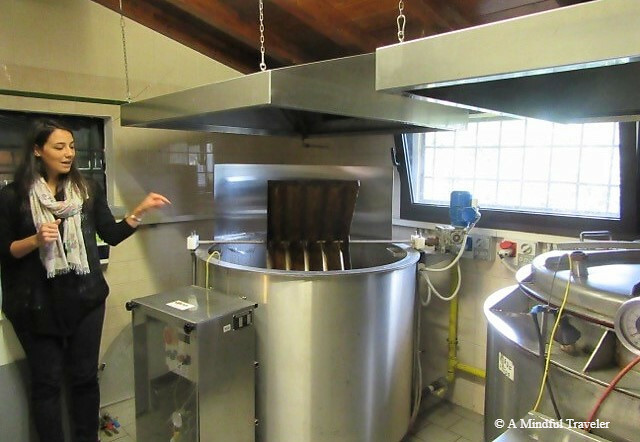 We love Italy but had never thought about how Balsamic vinigar was made. Thank you for the education. Next visit we will put this on a “To be seen” list. Thank you. Thank You taking us to this visual tour. I loved it. Thank You. Yes, try it with strawberries 🍓 A refreshing dessert. Like a day without the sun”… that should be my motto. I love it. Looks like a wonderful day out! First, I love the name of your blog. Good title. Easy to remember and fun. Second, I liked this post. I live in Wine Country here in Temecula, CA and while i am not a big fan of wine, per se, I love the idea of wine and wineries, if that makes sense. Always so pretty! Wow, how awesome to live in wine country like yourself. A gourmet paradise there. I truly enjoy discovering new places also through their traditions. For sure this is a great tour that helps to get to know better an Italian culinary ingredient. Okay, so this is going to sound mad, but I never realised balsamic vinegar was grape based – how did I miss that one. Italy has so many fantastic foods that I need to get back there! No it doesn’t sound mad at all Suzanne. A lot of people don’t realise this. Learning about a vinegar factory for the first time! Its so amazing when we get to see and experience the process of how certain things are made and start to appreciate them even more! The area looks lovely and a tour is a great idea, especially when it is small-scale production. I always look for artisanal products on my travels and I love balsamic vinegar. Thanks for an informative post. Interesting read! I have friends who love balsamic vinegar and definitely would these information with them. Wow! I had no idea so much work went into making a bottle of Balsamic. Thanks for sharing this, it was so interesting to read. I love a good Italian adventure and learn about their rather delicious heritage! Buon apetito! Modena what a beautiful place, there is so much of Italy I need to explore. Thanks for sharing, I will definitely try and visit. Bookmarked. This sounds like a fascinating place to visit. Balsamic vinegar definitely looks like a must experience. How wonderful Marla. What a great opportunity for you. Italy is such an amazing country.